The new vegetable caciotta cheese made with sprouted brown rice. Among our vegetable alternatives to cheese, Chiccotta is the more compact one, a perfect alternative to traditional seasoned cheese. Naturally free of gluten, animal derivatives and allergens. Thanks to its strong structure, Chiccotta has a captivating, savory and full-bodied taste that recalls the old good flavours of the past. Like all our vegetable alternatives, it is easy to digest thanks to the main ingredient it is made with: the sprouted brown rice. This characteristic makes Chiccotta suitable for the nutrition of the whole family. 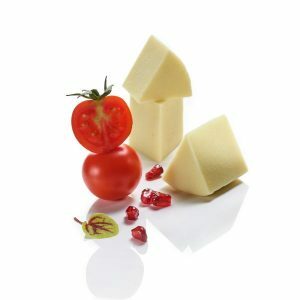 Chiccotta is, as all our products are, a fresh vegetable product, not containing any preservatives or dyes. You can find it in supermarket refrigeration departments or in corners dedicated to fresh vegan products. 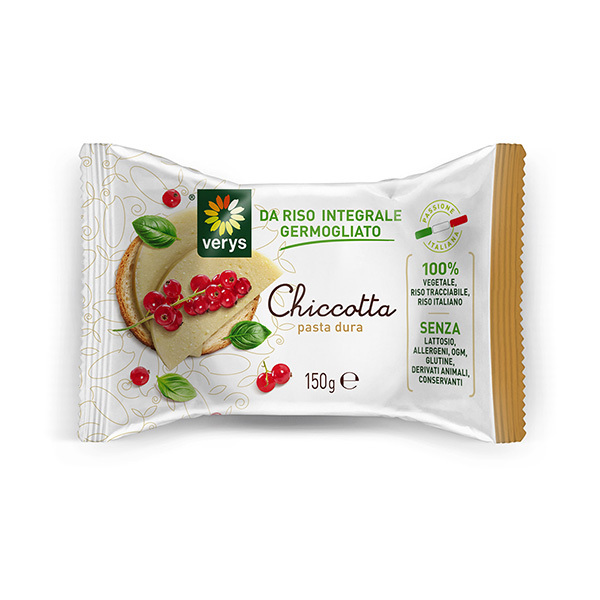 During its production no chemical substances or synthetic molecules are used and the main ingredients are certified by the European Organic Agriculture Regulation. It is suitable for anyone, adults and children and those who are intolerant to milk, lactose, gluten and soy. It is produced by the sprouting of rice of which it integrally supplies its important nutrients such as fibers and numerous amino acids. Thanks to its compact texture, you can serve Chiccotta as a snack or with your cocktails. You can cut it into slices or cubes and it will remain perfectly intact. It goes very well with fruit and vegetables like pears, celery, grapes, fresh or dried figs, nuts and much more! If grated, it adds an unmistakable flavor to your first courses… use your creativity!